•	Celebrity psychologist Donna Dawson reveals why women are so distracted by diamonds – they make you feel younger! Not only do women want sparkle in their stocking this Christmas, but they also appear to be treating themselves to some festive frosting too. 45 per cent of women admitted their eyes are wandering this winter towards the glistening jewellery stands during the season of shopping. When diets are a girl’s worst enemy this Christmas it seems diamonds really are their best friend. Just under a quarter of British women admitted to buying jewellery for themselves instead of trying on clothes or picking up those Christmas presents. Two-thirds went on to claim that jewellery is the perfect pick-me-up to make you feel confident and happy (64%), ahead of the all important Christmas party. In a survey conducted by Tru-Diamonds™, the world’s finest simulated diamond jewellery, women of the nation revealed how diamonds really make them feel, claiming that it is the sparkle that they love more than the prestige. More than half of women (58%) confessed it doesn’t matter to them whether a diamond is real or a replica, as long as it looks good. And the good news is 73 per cent of girls couldn’t tell the difference! Psychologist to the stars, Donna Dawson, revealed Tru-Diamonds™ will have an exciting effect on UK women: “A diamond is a gemstone with which a woman can most closely identify, as the many facets of a diamond represent a woman’s changing moods and emotional complexity. Women know that sparkling diamond jewellery is better than any other clothing accessory for allowing them to stand out in a crowd: the ‘sparkle’ not only attracts attention, but reflects light back up towards the face, helping women to look and feel younger and more attractive. Tru-Diamonds™ are ice-white in colour, flawless in clarity; perfectly cut every time and exactly the same sizes as conventional diamonds. 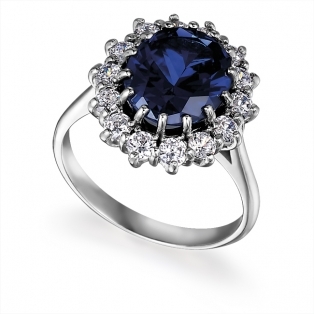 With many items in the range inspired by the red carpet look of celebrities, all Tru-Diamonds™ jewellery is set in 18ct. gold or platinum, richly clad on a core of sterling silver. For more information about the range visit www.trudiamonds.co.uk. OnePoll surveyed 2,000 women in the UK aged 16+ on 28 June 2011. Tru-Diamonds™, the world’s best simulated diamonds, are available to purchase by visiting the website www.trudiamonds.co.uk or calling 0870 010 3111 to order a catalogue. This press release was distributed by ResponseSource Press Release Wire on behalf of Hatch Communications in the following categories: Women's Interest & Beauty, Retail & Fashion, for more information visit https://pressreleasewire.responsesource.com/about.